Advent hardly gives cause for excitement to our otherwise mundane lives, except that it reminds us that Christmas is just around the corner. But as the Church frequently reminds us in what often seems to be a “wet-blanket” “party-pooping” sort-of-a-way: ‘not yet!’ No, all our excitement is geared towards Christmas. To the secular world and to many of us Catholics too, it marks the time for holidays, family trips, exhausting our annual leave at work, family reunions, decorations and carols, and of course, all the shopping to be done for the festive season. It’s the season of the year when we get to relive our childhood. But there is something about Advent that is so essential to our Catholic faith, our adult Catholic faith. You see Christmas may be (ideal) for children, but Advent is for adults. It is a realistic time when we adult Christians have to take stock of our lives, and admit and confess the shoddiness and second rated nature of much of our living as Christians. In our on-going pilgrimage of faith and hope and love, all three have flickered and faltered. Yes, Advent is for adults. One of the most common temptations that we face as adults is to adopt a position of self-reliance. This is not unusual because our personal goal is to become financially self-sufficient. This spills over to other areas, including our social, moral and spiritual lives. But when it comes to religion or God, modern writers have described this phenomena as practical atheism. Although actual atheism is the conscious rejection of the existence of God, practical atheism is living as if God doesn’t exist. The externals continue, but man becomes the central thrust of devotion, as the attention of religious concern shifts away from man’s devotion to God, to man’s devotion to man, bypassing God. The “ethic” of being Christian continues in a superficial way, having been ripped from its supernatural, transcendent, and divine foundation. According to Pope Emeritus Benedict XVI, who wrote and taught extensively on this temptation, practical atheism. While actual atheists often think deeply about God before rejecting belief, practical atheism “is even more destructive … because it leads to indifference towards faith and the question of God”. In other words, atheists care enough to argue against the existence of God, but practical atheists don’t even bother. God is totally irrelevant. Thus the apocalyptic writings that mark today’s readings are meant to shock us and shake us out of this self-induced lethargy. For some, this is strange weird language and yet it is the only language which we can use to describe the apocalyptic world we live in. What sort of world is it? It is a world of atomic bombs and global meltdown, a world of terrorist massacres and extermination camps, a world where people attempt to redefine themselves based on their sexual orientation and perception of gender identity, a world where what was once wrong is now considered right, what was deemed abnormal, is now regarded as perfectly normal. It is a world which brings fear and anxiety. Or as the gospel says it is a world ‘of men dying of fear as they await what menaces the world, for the powers of heaven are shaken’. When things are going well in our lives, we have little time or motivation to think of God. But when the end is imminent, when all that we cherish and hold dear are threatened with destruction, we are wakened to an urgent need for a solution, a solution that cannot be found in our current resources. That solution must lie elsewhere. But where? Who can save this world? The God who created it, who created the sun, the moon and the stars and who has the power to shake again these heavenly elements. He will be the one who will provide the solution and He does. The answer is clearly spelt out in both the first reading and in the gospel. 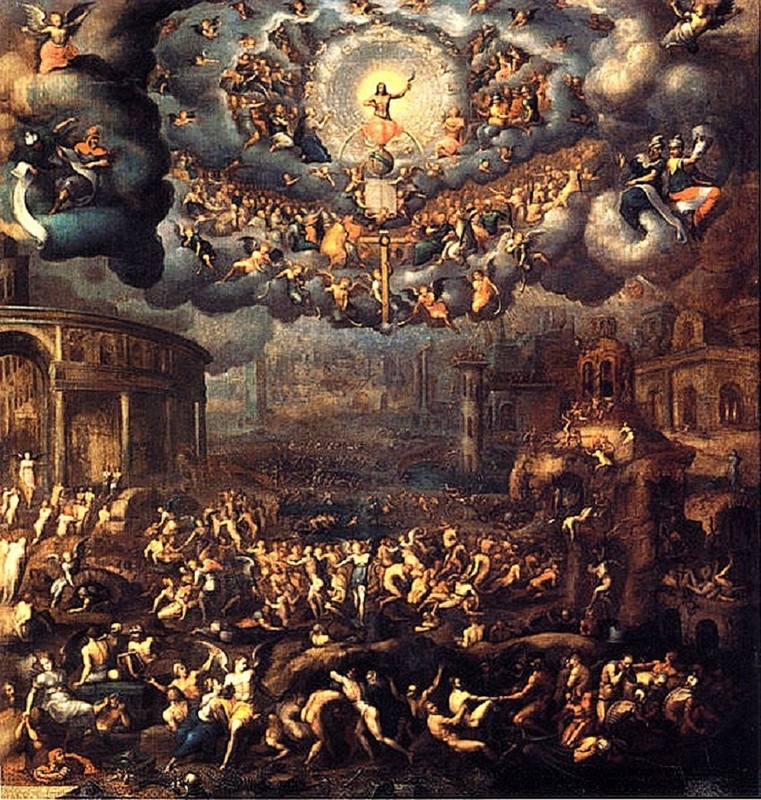 After a period of tumultuous chaos, we see the answer to our deepest longings, “the Son of Man coming in a cloud with power and great glory!” He comes to establish a new creation. He comes to establish justice, honesty and integrity. This image of Christ is an important one for our adult faith. Christ is not just a personal Saviour as the Protestants rightly state, but He is also the cosmic Christ who will bring God’s purpose for His creation to fulfilment. So the end of the world is not a time to cower in fear, or abandon ourselves to mindless libertinism, but rather a time to stand erect, with heads held high because now our liberation is near at hand. This is the perspective with which we begin Advent. What does it mean to “stand erect” with our heads held high? It is a call to rediscover, to rejuvenate and to reignite our faltering and sometimes infantile faith. The faith of our childhood may be a good foundation, but it is insufficient to face the many challenges of adult life. Faith is not just going through the motions of empty rituals or half-heartedly professing creeds but it must be an encounter with God who speaks and acts in history and which converts our daily life, transforming our mentality, system of values, choices and actions. Faith, is not as the atheists claim, an illusion, escapism, a comfortable shelter, sentimentality, but, is the involvement in every aspect of life. Christianity, before being a moral or ethical value, is the experience of love, of welcoming the person of Jesus. No doubt there is evil in the world; and we cannot pretend that it does not exist nor have a strangle-hold over us. And often, we appear powerless and hapless and unable to resist its power. The world around us may seem a very dark place: inter-racial and inter-religious tensions, economic crises, unemployment, sexual immorality abounding and even the Catholic Church does not seem to be spared from this rot. 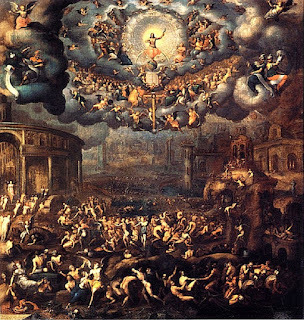 It is almost a picture of the apocalyptic ending described in todays ‘gospel. But we are called to be children of hope and faith and, above all, charity. We are not to be submerged by anxiety, bowed down by despair. “Hold your heads high”, the gospel tells us. “Stand erect”. We must affirm our belief that evil will not have the final word. The Son of Man will come in glory, “In those days, Judah shall be saved and Israel shall dwell in confidence.” With confidence in His cosmic saving power we can face an apocalyptic world with hope.